No-fault insurance is one of those ideas that look good on paper. Instead of carrying liability protection, each driver carries personal injury protection. When an accident ensues, they go to their own insurance company which covers any injuries that may result. In theory, this is great. The bill, which was sponsored by notable politician Michael Dukakis, eventually became the norm throughout the nation. Today, however, only 12 states and Puerto Rico use no-fault insurance as their standard. It bears noting that in each state that is a fault state or tort-based, drivers can purchase PIP (personal injury protection) or no-fault protection. Florida and Michigan remain two states that still use PIP. Once upon a time, no-fault insurance was all the rage. Many were dissatisfied with tort-based systems that resulted in lengthy and expensive court battles. Mandatory PIP for drivers was supposed to change all that and usher in a new era of easy claims and less pressure on the courts. Many states still allowed drivers the right to sue negligent drivers under certain circumstances. Florida was among them. One Florida driver may sue another in the event that they’ve sustained serious or permanent injuries. While having “unlimited” protection may sound like a good thing, Michigan residents end up paying nearly twice the national average for car insurance. According to the lawsuit, the plaintiffs are asking that the state modify the current no-fault insurance laws or repeal them entirely and go back to a tort-based system. In this case, a permanent impairment means the permanent loss of a limb, the functioning of a body part, blindness, traumatic brain injury, or other permanent condition that resulted from the injury. 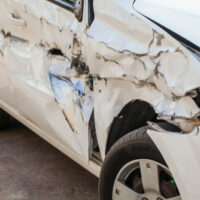 In some cases, the driver will actually carry bodily injury liability insurance. In other instances, you will have to sue the driver directly in court. While Florida’s no-fault insurance leaves a lot to be desired and legislators perennially consider repealing it to go back to a tort-based system, Floridians may always take solace in the fact that at least it’s not as bad as Michigan’s. If you’ve sustained serious injuries in a traffic accident, Alan Goldfarb and his team in Miami can help you recover damages from the negligent party. Give us a call or contact us online for a free consultation.